For today's commercial facilities, kW consumption is just as important as kWh. Therefore, reducing kW demand is critical to driving bill savings for commercial facilities. 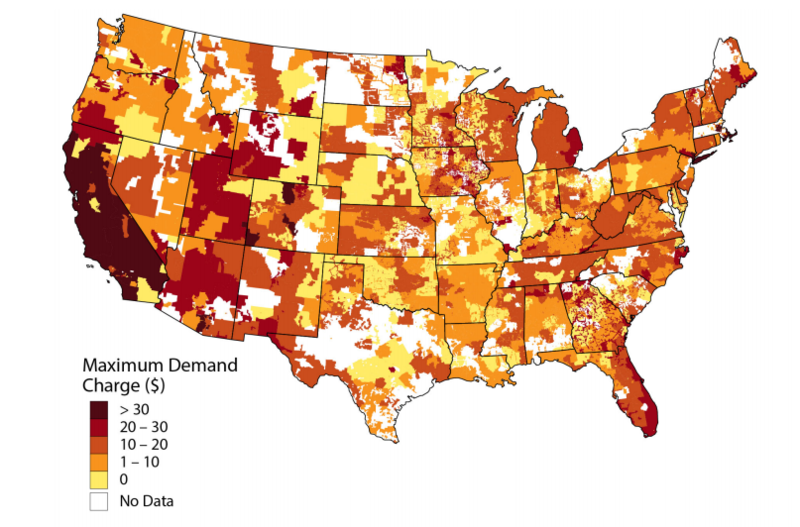 With the cost of advanced energy storage declining significantly, the investment case for addressing demand charges with solar plus storage can be made today. Unlike residential customers, larger electricity consumers must pay additional demand charges on a kW (power) basis in addition to their kWh (energy) consumption. To calculate the demand charge of a facility, the utility notates the highest average 15 minute period during a billing cycle. This is a surcharge on top of standard kWh rates and often times is a substantial portion of the total bill. So why is storage needed for demand charge management systems? In short, PV can only go so far. When an energy storage system senses a peak demand event, it discharges the stored energy at a rate capable of curbing the facilities overall demand to reduce peak charges.